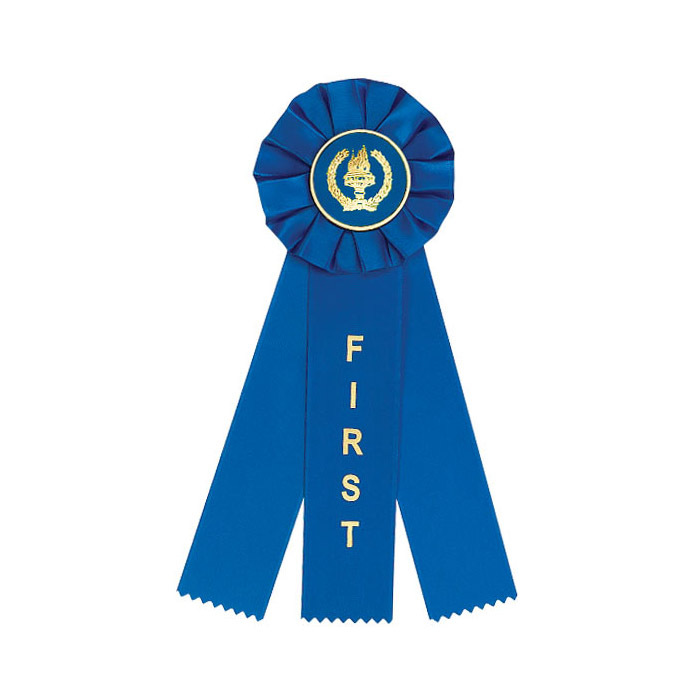 Blue 1st Place 3 Streamer Rosette Ribbon with free information card. Save more with Mix/Match Dinn Trophy Pricing! Order 50-199 = save $0.30 each. Order 200-500 = save $0.67 each. Order 501+ = save $0.97 each.